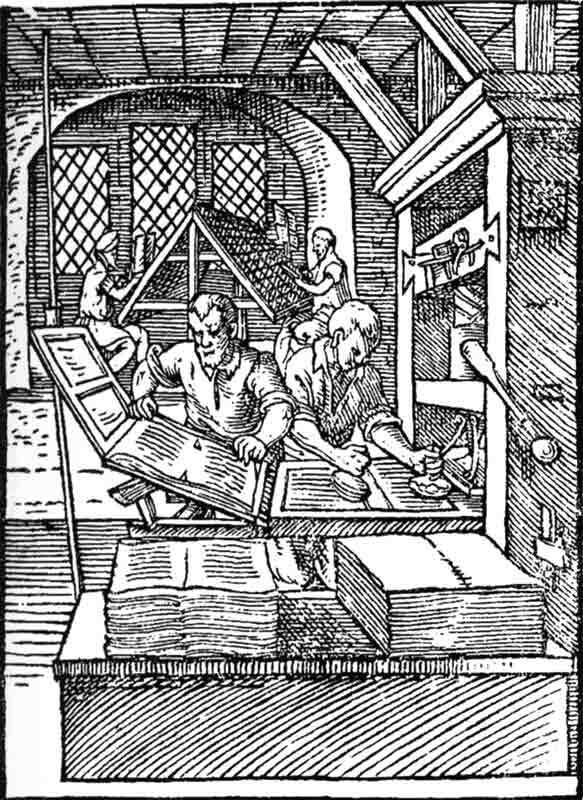 This page documents the evolution of printing and publishing during the sixteenth century. When this century started, the printing press had been in existence for around 50 years. It had spread throughout Europe and more than 10 million copies of nearly 3500 works had already been printed. The animated GIF below shows the spread of printing presses in the past centuries. It is unfortunately not entirely accurate, ommiting, for example, the first Brazilian printing press in 1808. Painter and engraver Jacopo de’ Barbari publishes a huge 1.3 by 2.8 meter aerial map of Venice, printed using six woodcut blocks. It took him three years to create the spectacular bird’s eye view. 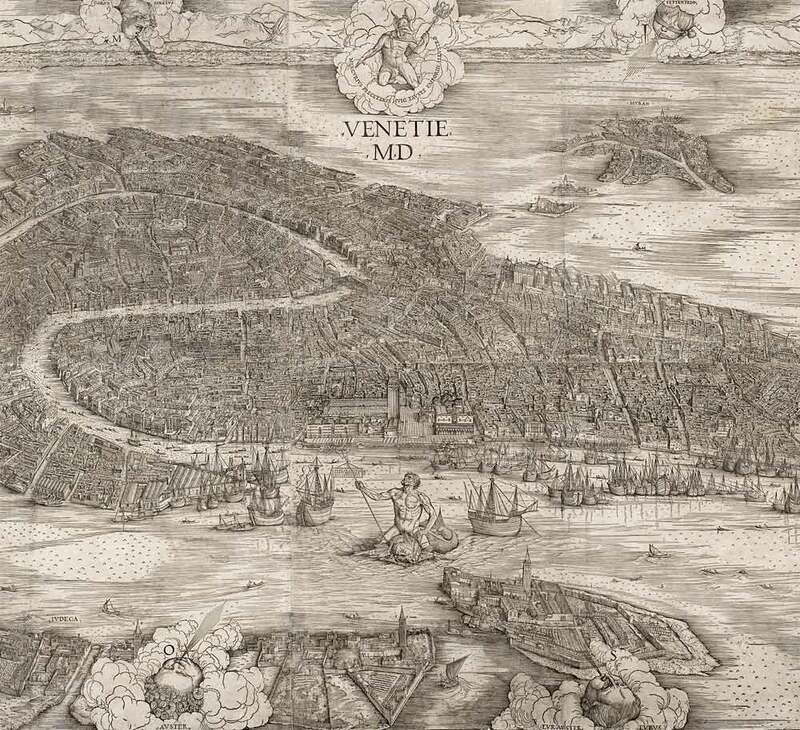 The map is so detailed historians still use it today to study 16th century Venice. Click its center part shown below for an enlarged view. The chiaroscuro oil painting technique is applied to woodcuts by artists like Lucas Cranach and Ugo da Carpi. In a chiaroscuro woodcut a drawing is reproduced using two or more blocks printed with different colors or tints. 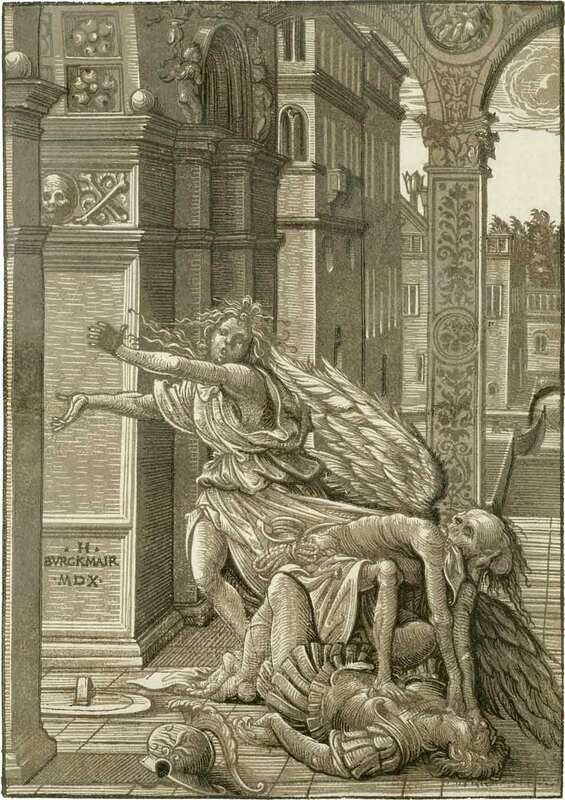 One of the blocks can be a line drawing but in the work shown below, ‘Lovers surprised by Death’ by Hans Burgkmair, only three tints are used. In Germany the technique peaks around 1520, but in Italy this early form of color printing remains in use throughout the sixteenth century. Even though movable type revolutionized book production, some types of works are still done by scribes. 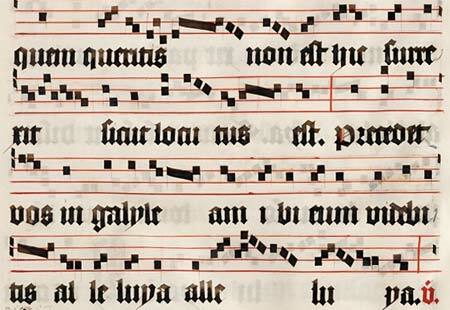 The Tsgrooten Antiphonary is a beautiful example of a hymn book that is created and decorated by hand. 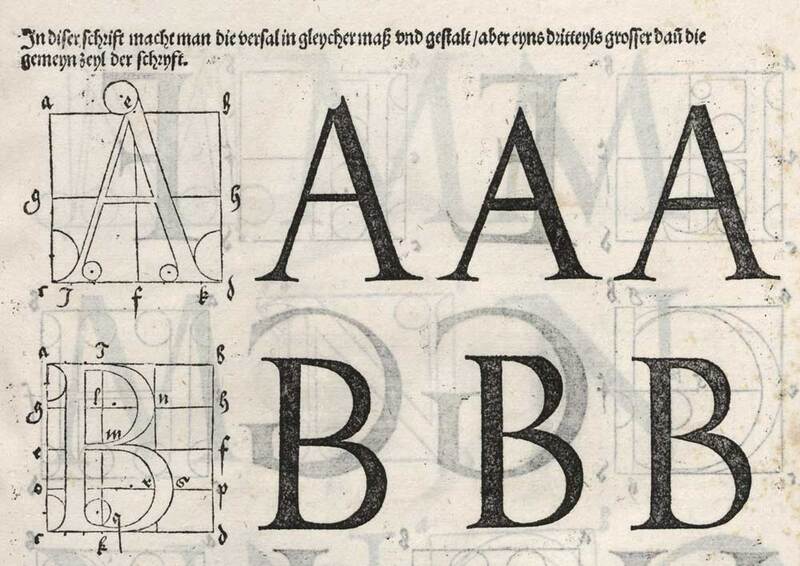 The famous painter, wood carver and copper engraver Albrecht Dürer publishes ‘Unterweysung der Messung’ (A Course on the Art of Measurement), a book on the geometry of letters. De humani corporis fabrica libri septem (On the fabric of the human body in seven books) is a book of human anatomy written by Andreas Vesalius. It combines text with numerous illustrations and shows how much printing has evolved during this era. 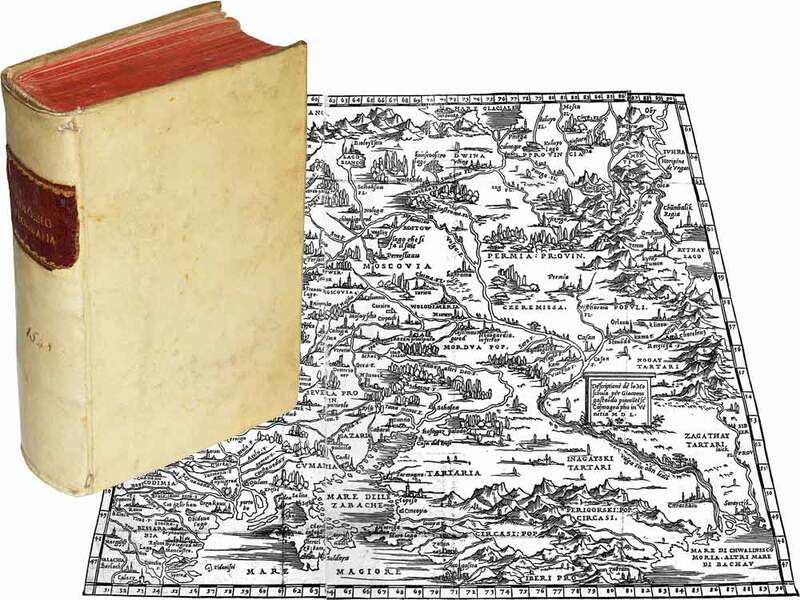 In Venice Giacomo Gastaldi publishes Geography, the first pocket atlas. It is one of the first books to show regional maps of the Americas. The image below shows the atlas as well as Gastaldi’s map of Moskovia, the Grand Duchy of Moskow. 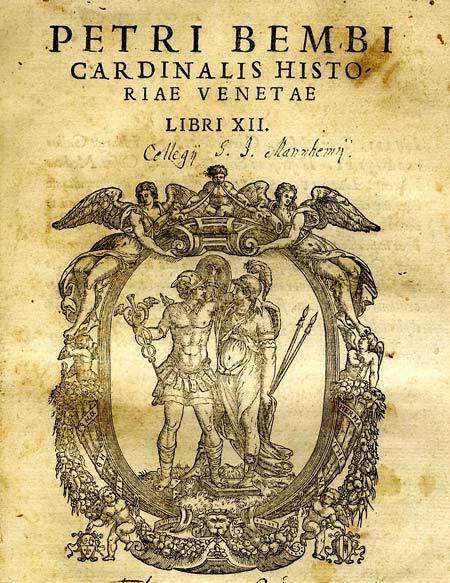 The Historia Veneta (History of Venice) is one of the many books of Pietro Bembo, a Venetian scholar and cardinal who is most famous for his work on the Italian language and poetry. The Bembo typeface is named after him. 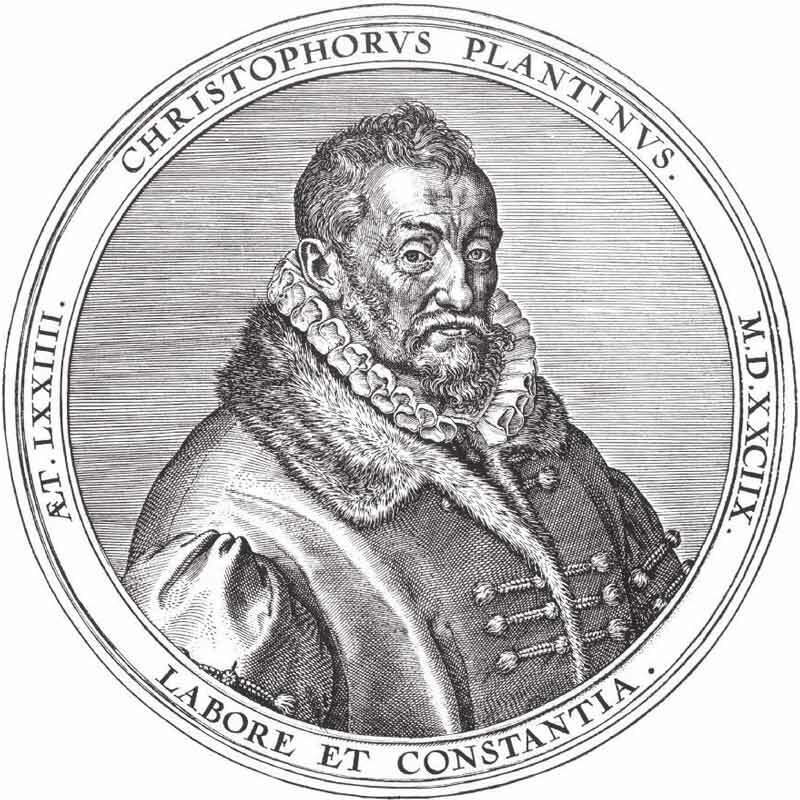 Christophe Plantin is one of the most famous printers of his time. In his print shop in Antwerp, he produces fine work ornamented with engravings after Rubens and other artists. The publishing and printing company of Plantin and his son-in-law Jan Moretus remains in business until 1867. Nowadays it is a museum with an interesting collection of old presses, type and books. 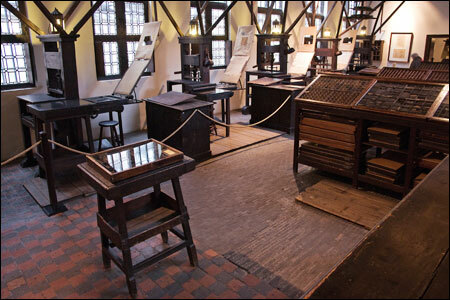 To see a small part of the collection, visit the page about the Plantin-Moretus museum. When French type designer, publisher and punch-cutter Claude Garamond passes away, his widow is forced to sell his punches. 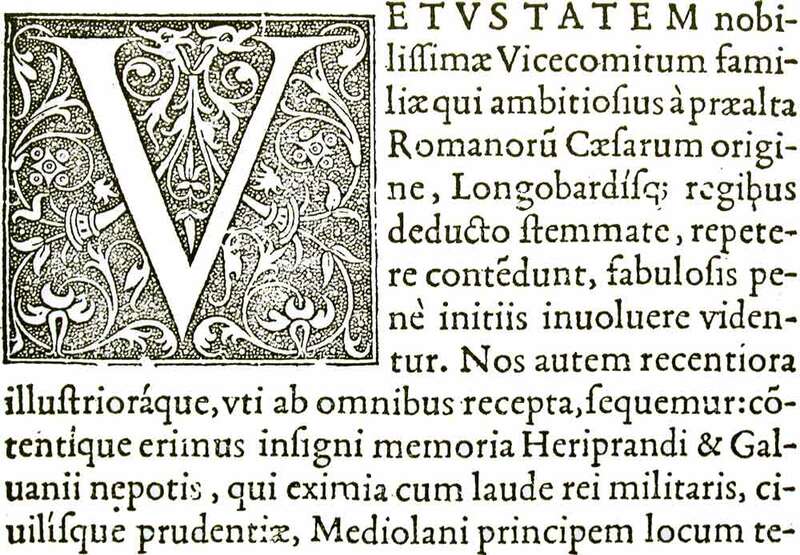 This causes the typefaces of Garamond to become widely used for the next two centuries. 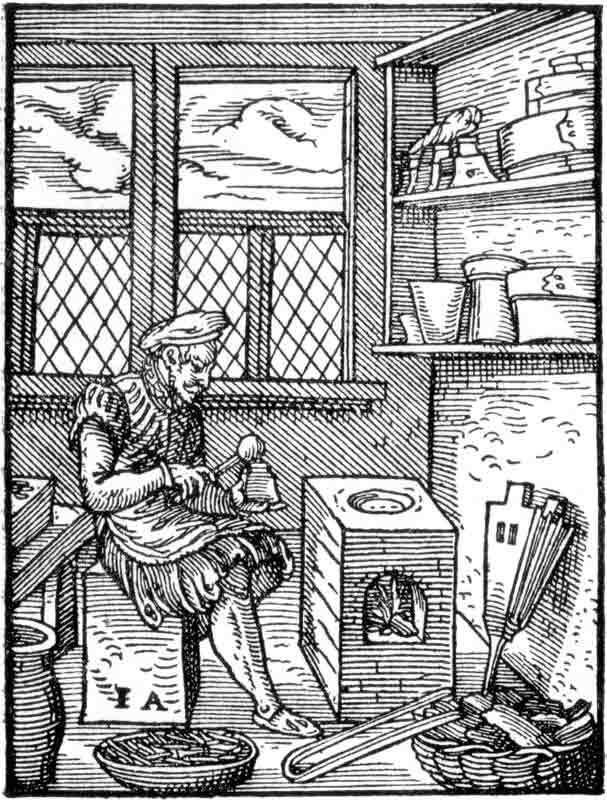 Garamond (or Garamont) was one of the first punch-cutters to work independently instead of working in-house for a printer. Cosmographia Petri Apiani is one of the first printed pop-up books. 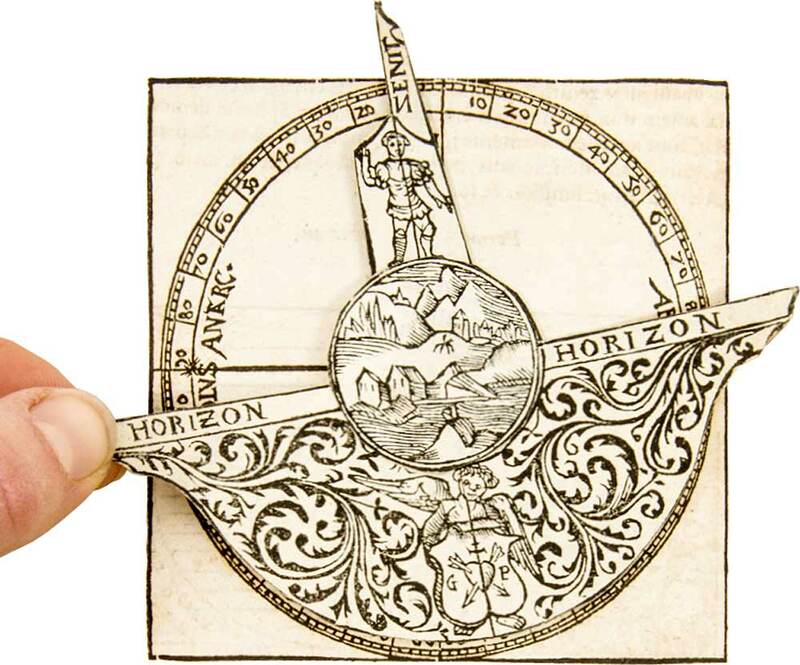 It contains a series of volvelles, circular pieces that revolve around a grommet. In India the first printing press is installed in Goa by the Portuguese. The Jesuits use it mainly for evangelization. Jost Amman’s woodcuts in Der Buchdrucker (The Printer) show how books are produced in this era. The image below shows a type caster pouring molten metal into a mold. The same artist also creates this image of a printer’s workshop. At the back compositors are setting text while the printer in the foreground is removing a printed sheet of paper from the press. His colleague is applying new ink to the type using a pair of dabbers. Willem Silvius is a printer in Antwerp who publishes the earliest known type specimen book in the low countries, the Leyden Afdrucksel.